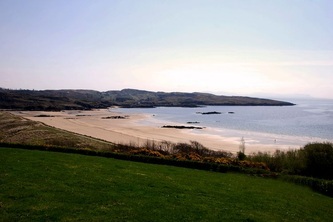 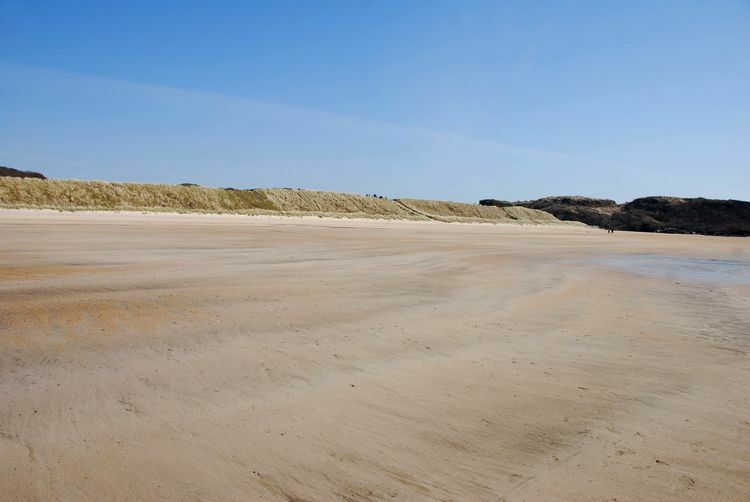 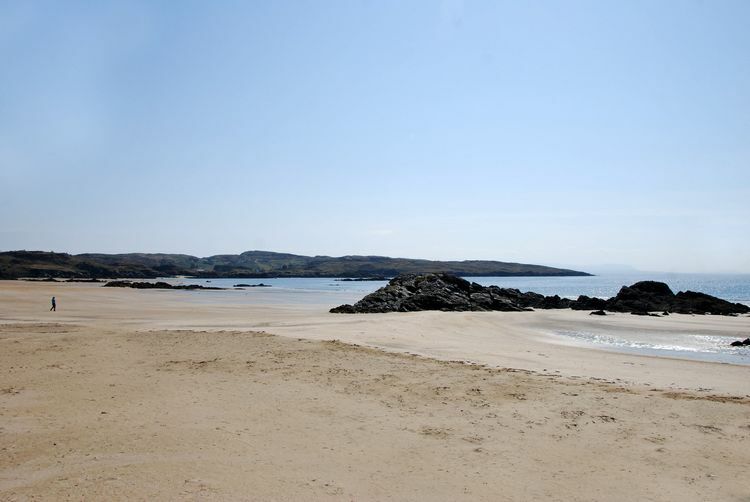 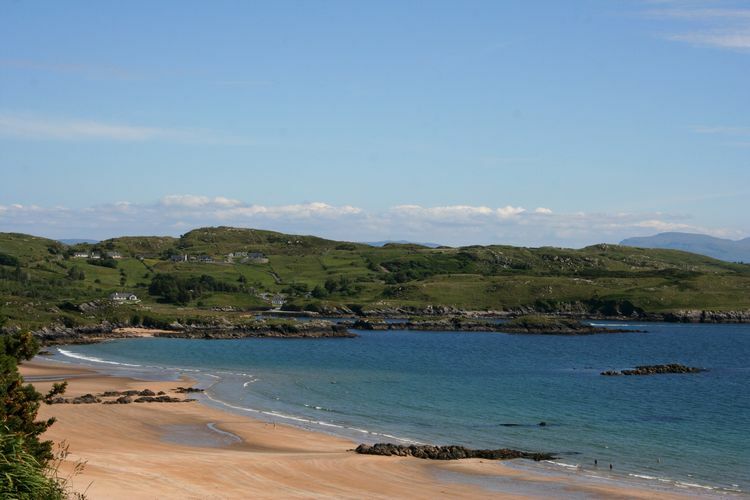 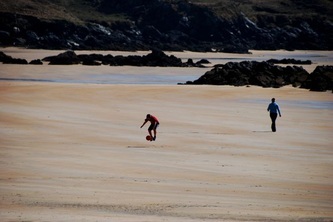 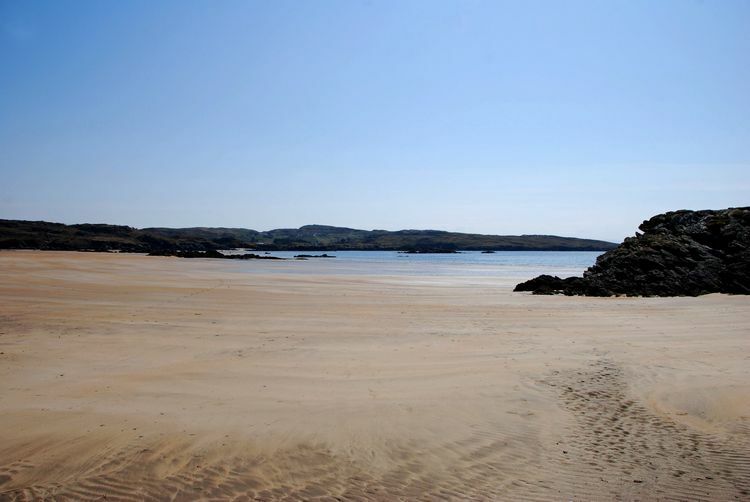 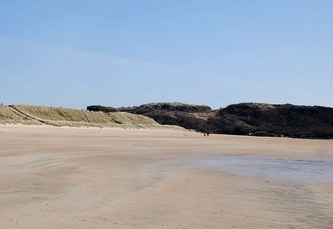 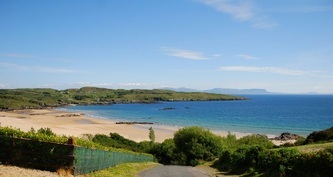 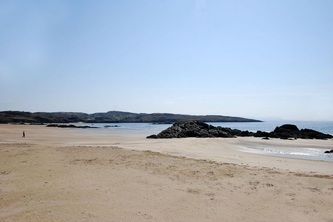 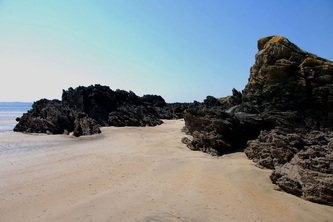 Fintra beach is a beautiful sandy beach just a couple of kilometers outside the fishing port of Killybegs. 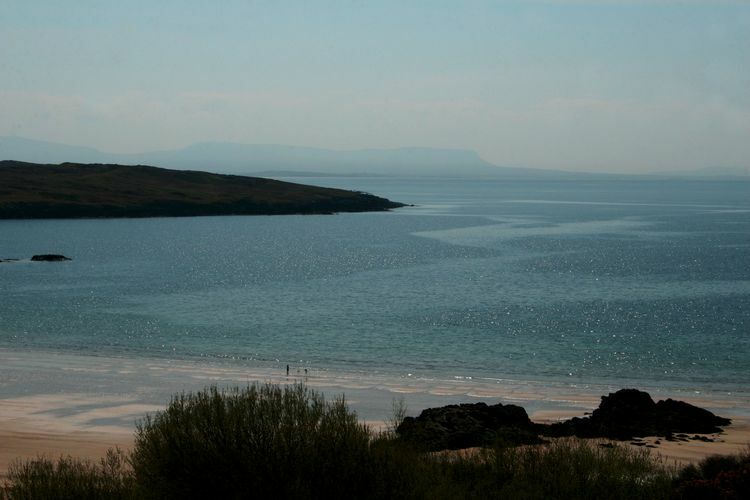 It is approached by a steep road down to it which offers stunning views of both the beach and Donegal Bay as far as Benbulben mountain in County Sligo. 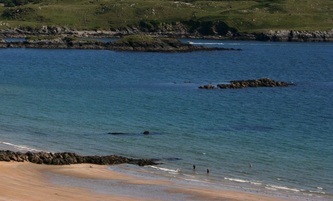 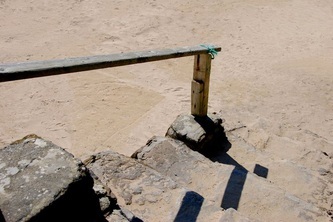 There is a car park beside the beach and a few stone steps leading down to the beach. 1) Environmental Education and Information 2) Water Quality 3) Environmental Management 4) Safety and Services All Blue Flags are awarded for one season at a time. If the criteria are not fulfilled during the season or the conditions change, the Blue Flag may be withdrawn." 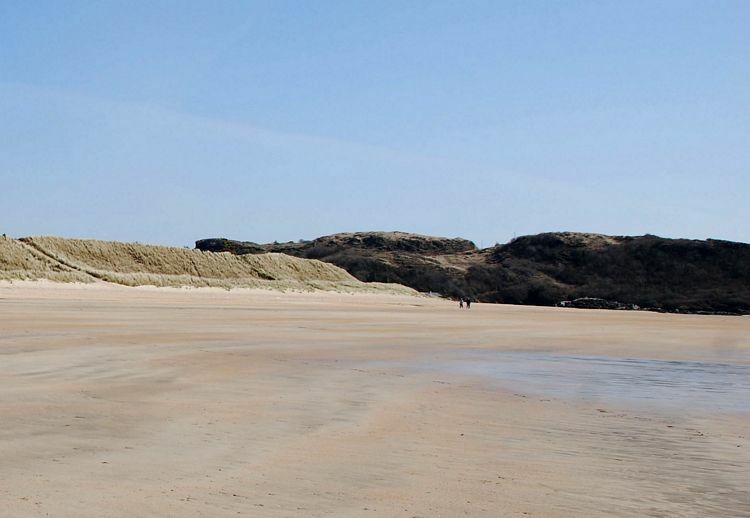 Click on any of the photographs below to enlarge. 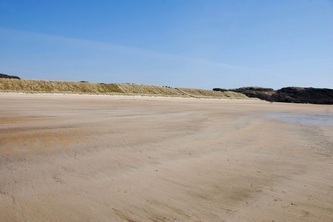 Two of them have zoomed in versions to give perspective of the size of the beach.